Meeting Jennifer Lopez (center) at a taping of "American Idol," which also aired a performance of her song "Feel the Light" from "Home"
Yes, last week was extremely busy and extremely amazing, as CC and I watched a live taping of "American Idol" at CBS Studios. Jennifer Lopez, who's a multitasker in a major way -- mom, actress, singer, "American Idol" judge -- was spotlighting a performance of her new song, "Feel the Light," from the animated movie "Home" from DreamWorks Animation. The fam and I also caught an extra-special screening of "Home," which opens in theaters March 27. 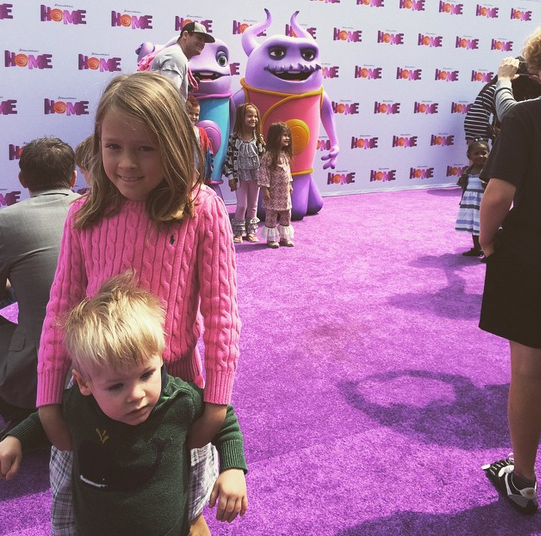 DreamWorks Animation rolled out the purple carpet for the star-studded event in Westwood. The kiddos had fun watching the film -- Will even donned the 3D glasses for the entire screening(!) 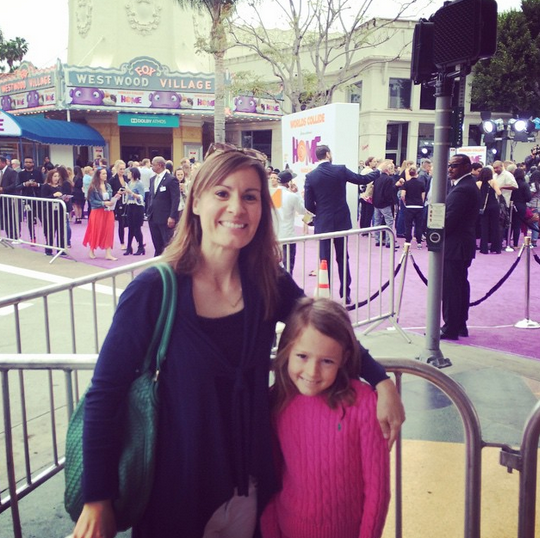 -- and loved sneaking a peek at the Boov representatives on the carpet. Be sure to check out more pics on my Instagram feed. 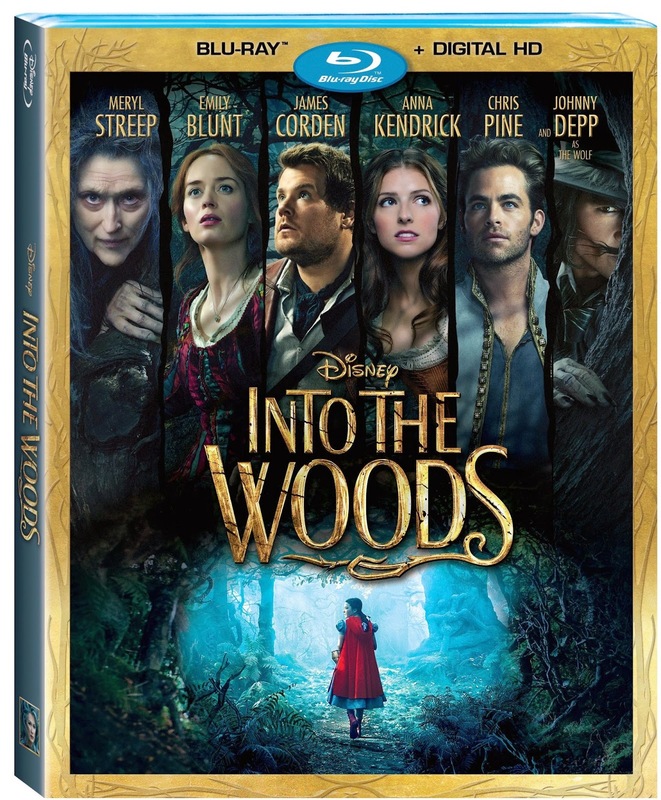 That famous Stephen Sondheim musical "Into the Woods", which ran on Broadway from 1987-89, has gotten a modern makeover, and CC has been counting the days until the film arrived. "Into the Woods" weaves together the stories of Cinderella (played by Anna Kendrick), Jack and the Beanstalk (Daniel Huttlestone), Little Red Riding Hood (Lilla Crawford) and Rapunzel (MacKenzie Mauzy) into a musical that centers on a modest baker (James Corden) and his wife (Emily Blunt), who are longing to have children. When the baker and his wife discover that a witch (the amazing Meryl Streep) has placed a curse on them because of something the baker's father did, it is up to them to gather items from these famous fairy tale characters in order to reverse the curse. There's something extra-colorful and fresh about this version of "Into the Woods," and the actors infuse such fun life into their roles. Streep is her usual inventive self, and Blunt's voice is just so lovely. Johnny Depp as the Wolf is a perfect choice. We received a review copy and had to watch the movie in installments. CC couldn't wait to rush home from school each day to catch half an hour at a time. While Sondheim is an unconventional composer, his tunes more cerebral than catchy, I did find myself humming "Into the woods to grandmother's house, into the woods to grandmother's house" way more often than I'd like to admit. CC, even more so. 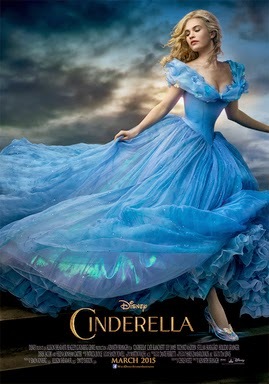 The film is a fun romp through a magical, musical forest. DVD extras include a never-before-seen original Sondheim song performed by Meryl Streep, interviews with the cast, a look inside the design and costumes. 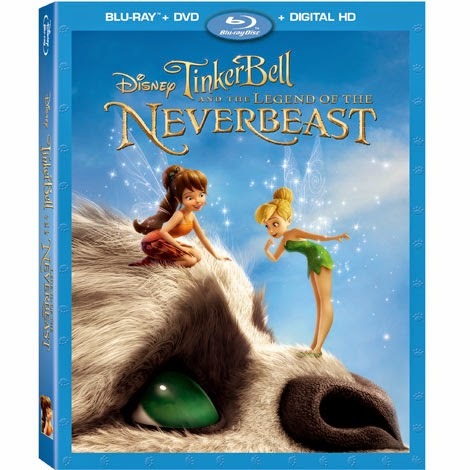 For kids who adore animals -- especially ones that are a little, let's say, unconventional -- "Tinker Bell and the Legend of the Neverbeast" is definitely a movie they're going to want to see. And CC is one of those kids. The Blu-ray and DVD, which arrived on shelves and Digital HD last week, centers on a story about Fawn, the animal fairy who has a soft spot for all sorts of creatures. When Fawn (voiced by Ginnifer Goodwin of "Once Upon a Time") stumbles upon a mysterious creature that is at once imposing and gentle, with fascinating green eyes, she is immediately entranced by its movements and strange activity. It also seems to have a thing for dizzyingly high rock towers. Growing closer and closer to this endearing creature, she becomes friends with the furry guy she calls Gruff. However, not everyone in Pixie Hollow is happy about that. 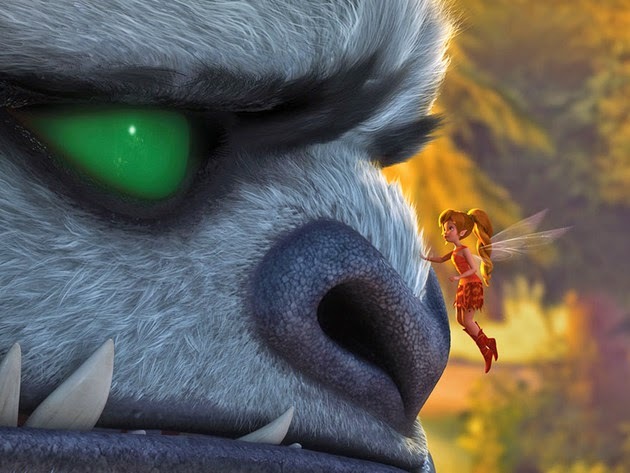 According to an ancient myth, Gruff is exactly the kind of creature that's not allowed in the idyllic Pixie Hollow out of fear of him destroying it. And the bizarrely shaped rock towers he's building aren't making anyone feel better, especially the scout fairies, led by Nyx (voiced by Rosario Dawson). She wants to protect Pixie Hollow from whatever destruction Gruff may bring. So it's up to Fawn and her loyal friend Tinker Bell to protect Gruff while also making sure everyone in Pixie Hollow remains safe and unharmed. The G-rated movie, complete with colorful animation, is a fun for kids who love adventure paired with animal love, compassion and friendship. Not to mention some serious girl power! The world in which the fairies live is vibrant and lush, and it's so nice to see friends who stick up for each other. Gruff himself, without giving anything away, has the potential to be a scary figure -- what with the glowing eyes and sharp teeth -- but his puppy dog-like movements invite kids (and fairies) in for a closer look. 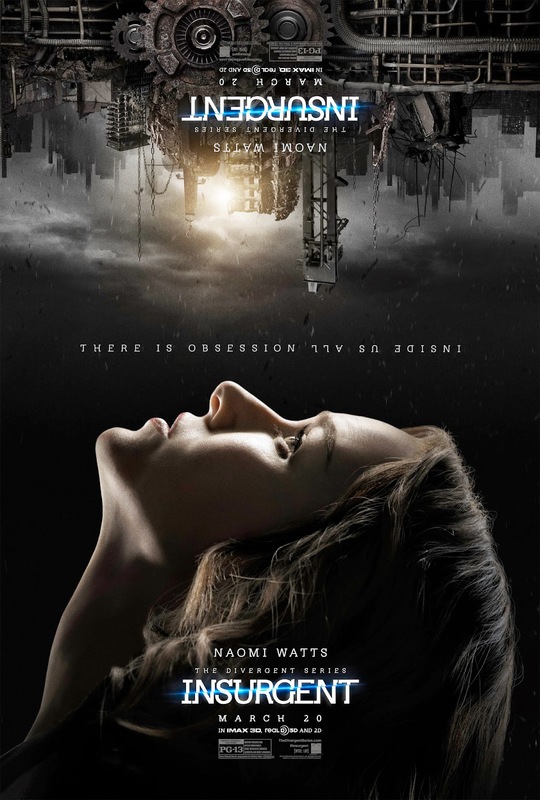 First impressions aren't always the correct ones, this movie seems to say. The DVD also offers nice bonus features, such as "5 Essential Ingredients to Getting Gruff," "Jeff Corwin's Guide to Real-World Neverbeasts" and deleted scenes with director intros. CC loved getting a closer look at Gruff and finding out just what kind of animal he was. 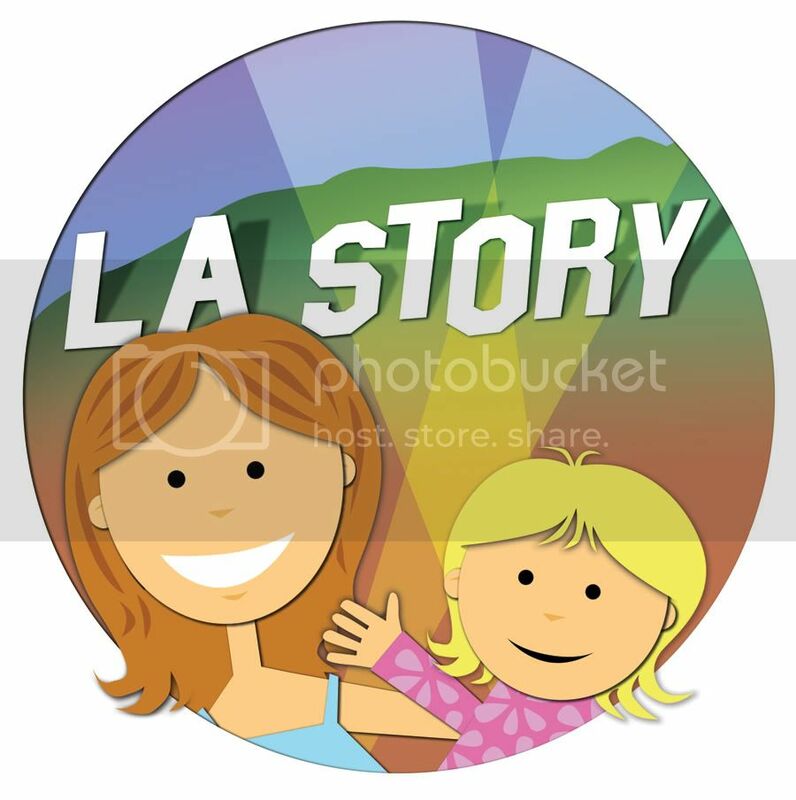 The story itself is full of thrills and, with its mystery and tenacious characters, makes sure kids are along for the ride as well. 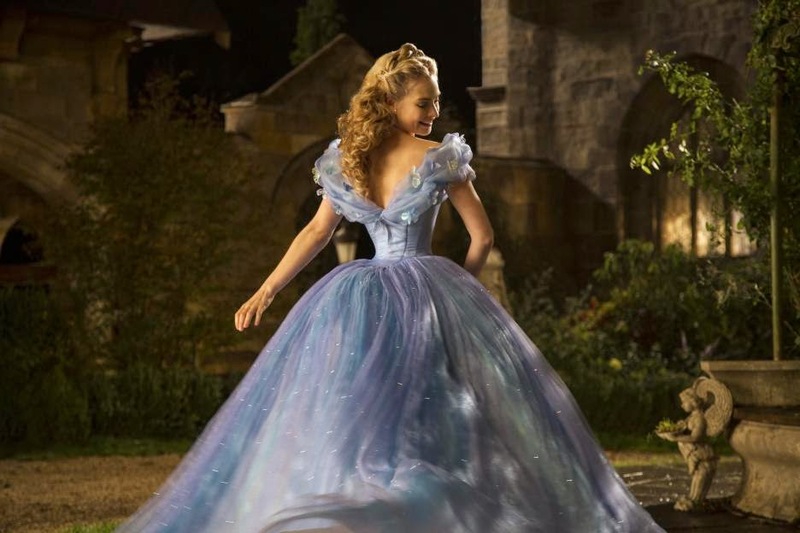 If you and your kids are looking to catch a sneak peek of Disney's live-action version of "Cinderella" -- and the new "Frozen Fever" short -- here's your chance to check out the movie and do good at the same time. 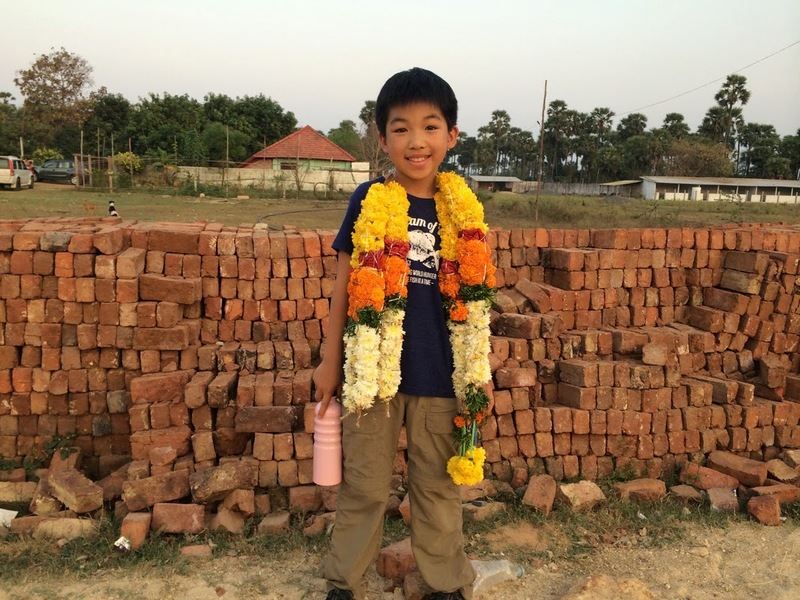 On Sunday, March 8, there will be a screening of the film at the Vista Theatre in Los Feliz at 9:45 a.m. to benefit I Dream of Fish, a foundation to combat world hunger created by 10-year-old Miles Lin. I Dream of Fish provides food production systems called Aquaponics to developing communities around the world. The system features fish in a tank on the bottom and plants on the top -- both of which go toward feeding malnourished families. Miles writes on his site that he fell in love with fish when he was 3 years old, and his parents taught him that he should share his passion with others -- not just keep it to himself. He wanted to use fish to help the rest of the world, and so he founded I Dream of Fish when he was 9 years old. His first fundraiser pulled in more than $37,000! So if you would like to attend the screening -- and help out developing communities -- visit the "Cinderella/"I Dream of Fish Eventbrite page to buy tickets and donate. You can even make a donation without attending the screening. 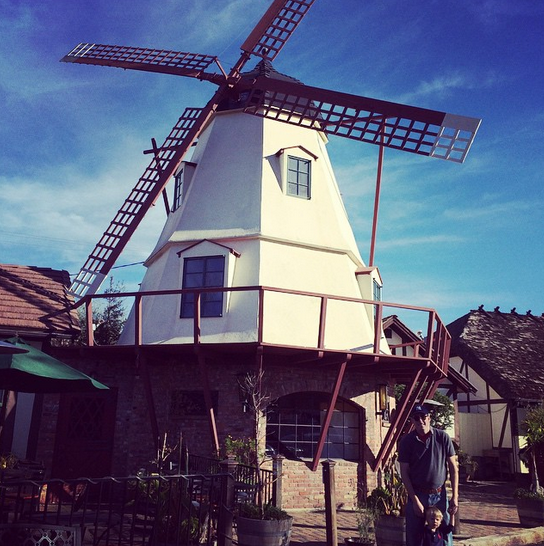 One of many windmills in Solvang, Calif. 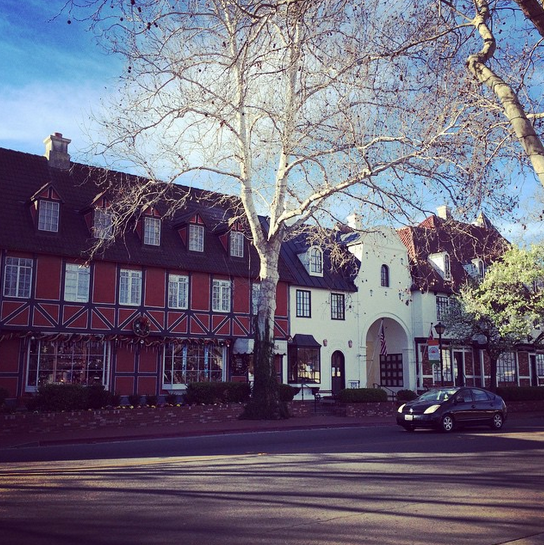 If you're ever looking for a getaway that's not too far from Los Angeles but still feels like you're far away from the city, take the 2-1/2 hour (128 mile) drive to Solvang, the small Danish-themed town in the Santa Ynez Valley. 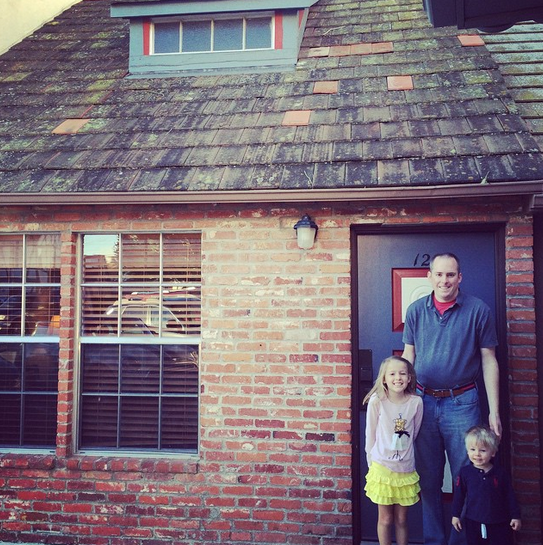 We took a weekend trip up to the adorably quaint town a few weeks ago, and I can't believe we hadn't visited sooner. Danish for "sunny field," Solvang was founded in 1911 by a group of Danish teachers, and it has a population now of just over 5,000. 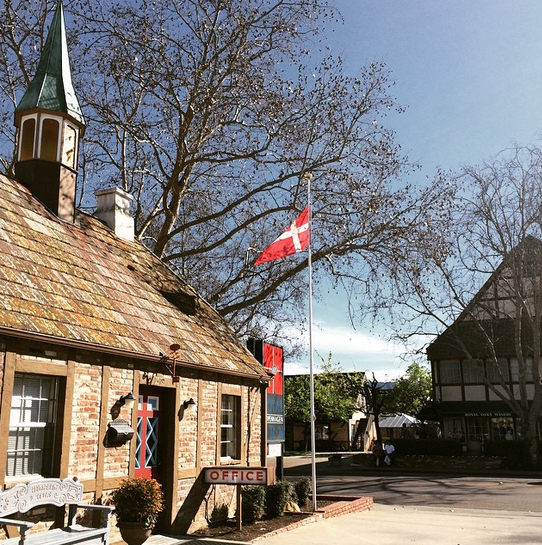 Solvang has gone all out to maintain a Danish charm, complete with lots of little shops offering everything from pastries to Christmas ornaments and books. We stayed at the Royal Copenhagen Inn, a hotel whose architecture is meant to evoke a little village in Denmark. Because there were four of us, we booked one of their bigger spaces, complete with an upstairs bedroom loft. You can imagine how much the kiddos loved that! I can't tell you how many times CC and Will went up and down the stairs just because they could. 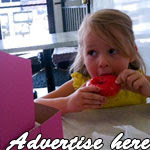 It was so easy to walk around the town and lazily take in all of the cute shops and restaurants. One place we kept going back to was The Book Loft, which also had a coffee shop and a small Hans Christian Andersen museum. Forget Amazon, it was so nice to browse through bookshelves at a unique independent bookstore. We also took a drive around the countryside, which is covered in rolling green hills and vineyards. We wound our way over to Los Olivos, a tiny town that seemed to have a wine-tasting shop everywhere you turned. It was such a relaxing trip, and I already can't wait to go back!